Nick was drawn to Renaissance Financial because of its positive environment and culture of teamwork. He enjoys collaborating with others on behalf of his clients so that he can help position them for financial success. Though he works with a broad range of clients, Nick is especially interested in advising young families and couples making big life changes, in addition to small businesses and attorneys. Before joining Renaissance, Nick worked as Assistant Manager/Store Operations of Runza Restaurants, a family-owned business. Because he grew up working with his parents to make the restaurant a success, he understands the struggles of small businesses and the importance of the business to the family. 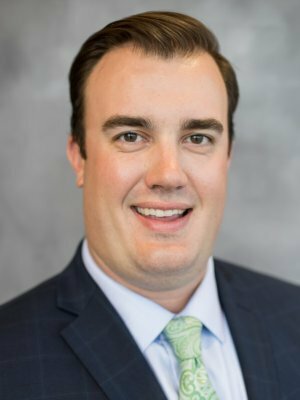 Originally from Kearney, Nebraska, Nick earned his bachelor’s degree in business administration with an emphasis in finance from the University of Nebraska, Kearney. He holds his Life, Accident, and Health Insurance Agent license, as well as FINRA Series 7 and 66 registrations. Nick now lives in Omaha with his wife, Alexandra, a Creighton Law graduate, and their fur child, Miggy, a 180-pound Great Dane.